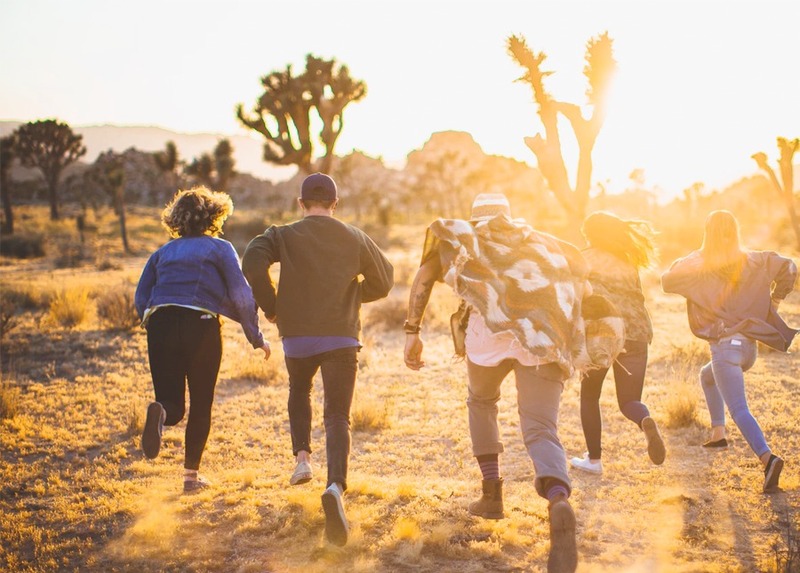 Going on a vacation is always fun, but traveling with your friends may be one of the underappreciated perks of adulthood. However, failing to think about the logistics or being crammed into a tiny hotel room with too many people can send the trip south fast. From picking a destination and accommodations to planning for meals, activities, and carpooling, getting organized ahead of time is key. Here are some tips to help make your trip a success and ensure that once you arrive, all you have to do is relax. Everyone’s budget and available time off work will be big factors in picking the trip destination. You can either work backward, starting with a group and then figuring out price and location parameters, or you can start with a general trip itinerary and invite folks according to any constraints, including group number, destination, and time off work. You can even send out a survey or poll to gauge interest and date availability using a free site like Doodle. It may sound nerdy, but it works! Once you know how many people are coming, start the budget conversation. Make sure everyone is on the same page so you know whether you need to look at budget hotel options or renting a house with all the bells and whistles. Then, figure out how many couples, if any, are coming and if they will want their own room or if they’re fine sharing. If a cabin sleeps ten but five of those people are going to be in the same room, how are you going to divvy up beds? Will you draw straws or are the people who get their own private room going to pony up a little more? Take all of these things into consideration when picking where you’re going to stay and what people are going to pay. Especially if you’re renting a house or condo with a kitchen, consider having people sign up for snack, drink, or meal duty on a group spreadsheet or poll. This can mean either bringing stuff from home or hitting up a grocery store en route or at your destination. This will both make the trip easier on everyone’s wallet and help ensure that there’s a general plan for meals and some necessities on hand. No one wants to be out on the lake all day long and then realize at 8 PM that there aren’t any restaurants nearby that can accommodate your group and the pizza place has a two-hour wait for takeout. If there are places where the group wants to dine, make a reservation if possible, or try to get there early or go late to avoid a long wait. Also think about coffee, alcohol, and snacks if you’re going to want those ready and available at your home base. For example, a few people can sign up to bring lasagna or another make-ahead meal that can just be heated up for dinner one night, and another couple folks can be in charge of breakfast one day, whether that’s bagels and cream cheese or a make-your-own-omelet spread. Then, have people fill in with snacks, coffee, drinks, and whatever else you may need, and you’ll be patting yourself on the back for your impressive level of adulting. Do a bit of research on what the best activities in the area are, and get a count for who is interested in them. For some, the only activity they may want to do is sit around and read magazines, while others might be interested in hiking or a water sport. Knowing everyone’s answers to these questions — and making it clear that no one is required to participate in group fun — will make it that much easier to plan ahead, make any necessary bookings, and show up on time and ready to go. If a road trip is on the docket, decide who is driving, who is riding along, what everyone is bringing, and coordinate from there. If you’re flying, can you carpool to the airport and save on parking costs or split an Uber or Lyft? Also, consider if the cars that are signed up are going to be able to accommodate everyone and all their stuff. Especially if you’re driving — and bringing food and drinks from home — you’d be surprised by how much everyone may pack for a three-day stay. Road trips aren’t as much fun when they have to start with playing a game of luggage Tetris in the driveway. People may need downtime, and that’s okay. It’s supposed to be fun, remember? Also, it’s fine if some are interested in doing an activity or sightseeing while others may just want to relax in the hotel room or house. Instead of booking every spare minute, build in free time so people can fill it with whatever activities they want. It’s also a good idea to bring a deck of cards and a few games, like Scattergories or Cards Against Humanity, as this can be a good lowkey way to hang out together. It can often be easier to have one person pay for a meal, activity, or reservation and then figure out reimbursements later. Luckily this is much easier with the advent of apps like Splitwise, where each person can input the transaction they covered and then the app simply tallies up the costs and tells everyone what they owe in the end. If you prefer to be low-tech, this can also obviously be done with a calculator — just make sure you keep track of your receipts and who paid for what. It doesn’t matter if you are headed to a cabin just a few hours from home or to another country — traveling with some of your favorite people can be a great experience that brings you closer together and deepens your friendship. However, a little planning and coordination goes a long way towards making any trip a success rather than a cautionary tale. Following these steps will also help ensure that everyone has fun and gets home from vacation with their budget intact, so you can all start saving for your next group getaway.